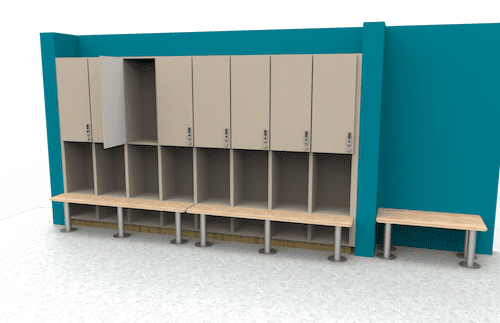 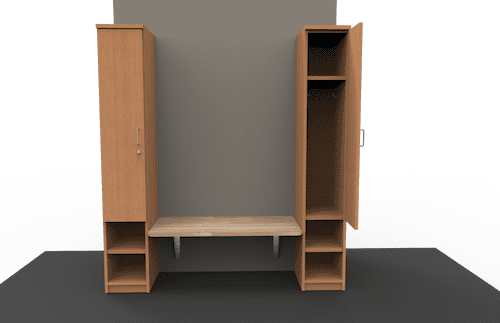 Athletic locker rooms deserve high-quality personal storage products; available in many options, sizes and colors to represent your organization. 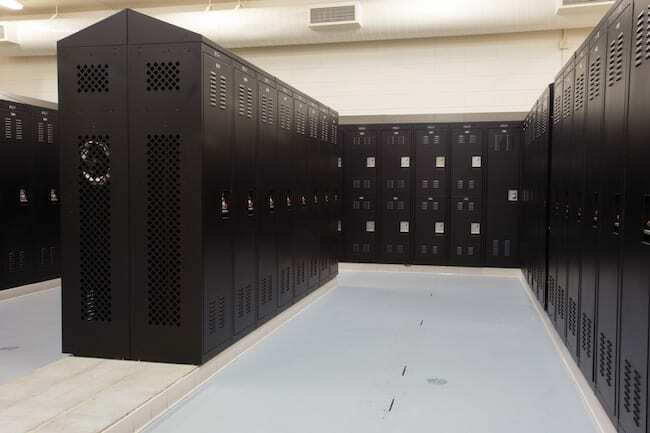 Secure construction, HVAC integration and rigid attention to quality and product longevity are a few of the advantages of our products and installations. 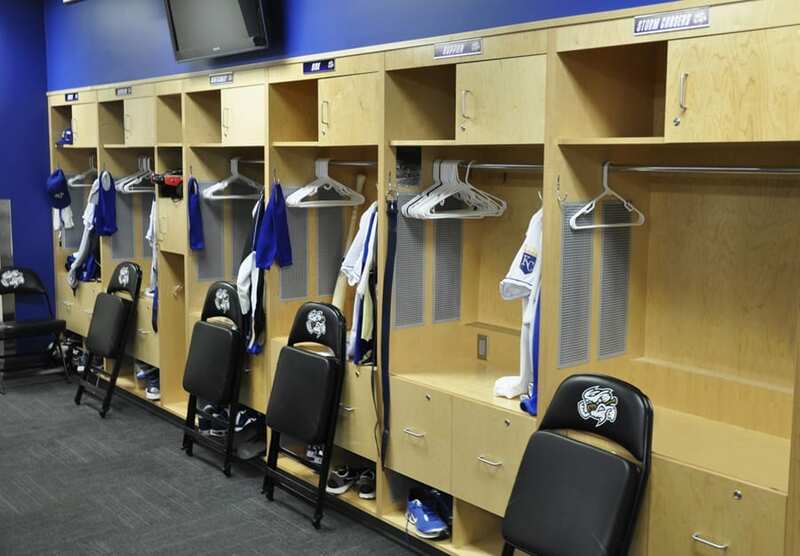 Outfit your team with the locker room they deserve. 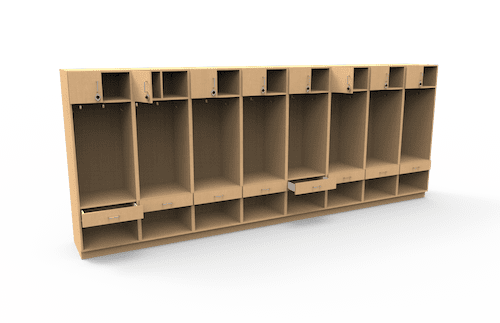 Our team can customize your space to match function and form with a wide variety of locker configurations. 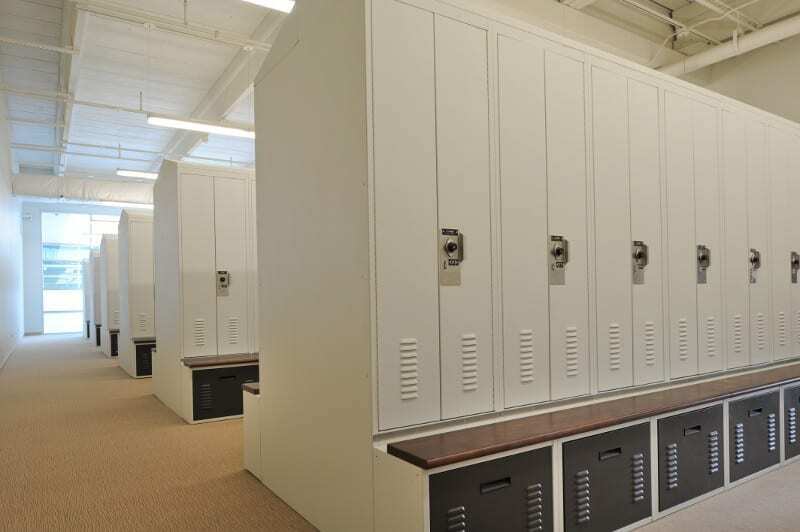 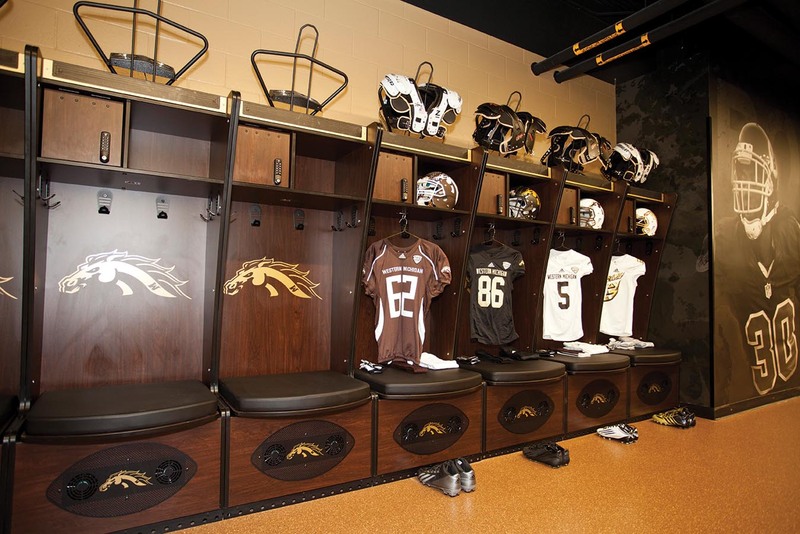 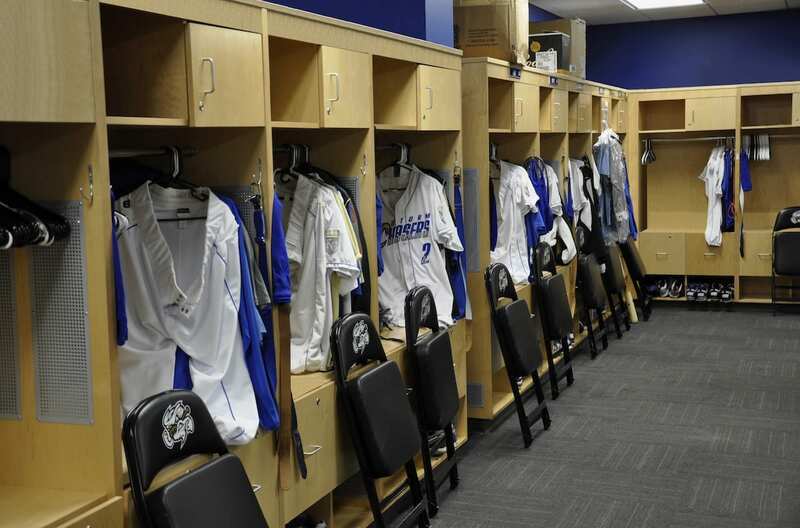 Work with Bradford Systems and you’ll get a modern, functional, and uniform locker room your team will appreciate. 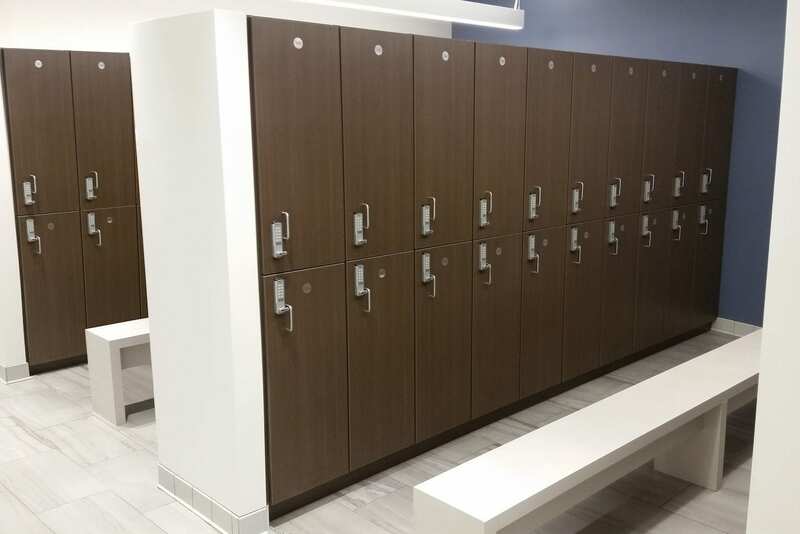 Don’t be fooled by budget lockers for your locker room. 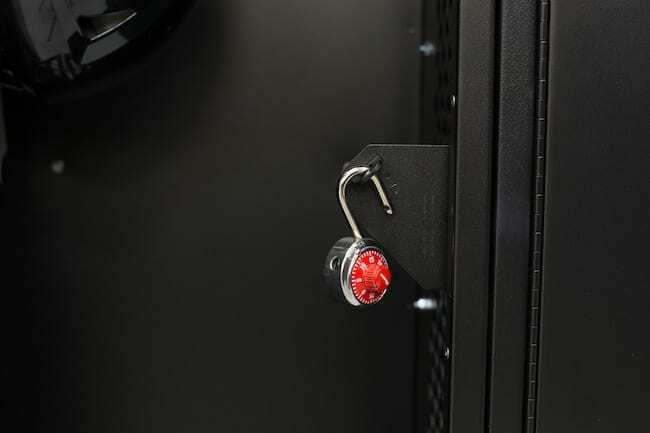 They can be easily damaged and become a security risk. 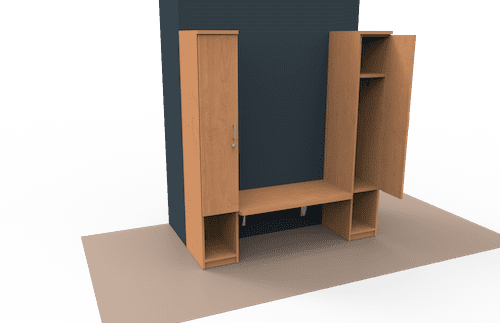 We can design a custom locker solution that fits within your budget, and lasts for decades to come. 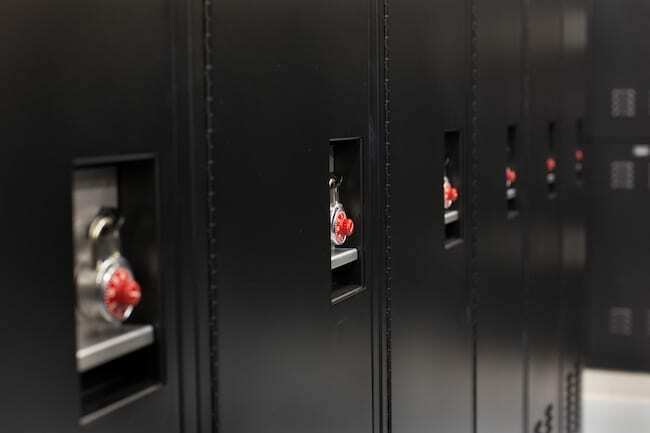 We offer secure, mechanical sturdy lockers manufacturing in the US.